Strictly Grout was established in 2008 on the Sunshine Coast in Queensland. With humble beginnings of two men and a van, we had a vision to revolutionise the home renovation industry. 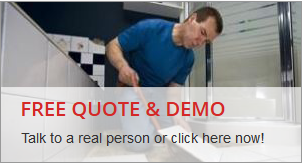 Based company specialising in Residential and Commercial Tile & Grout Cleaning and Grout Colour Sealing. From those humble beginnings Strictly Grout has established itself as the preferred supplier to residential and commercial clients within the Sunshine Coast area. Having established a solid base the business was able to look outside Queensland for it’s growth and in 2014 opened up an office in Perth. Building on the lessons learned in QLD we have chosen to partner with people that share our values on the importance of providing excellent customer service. Our plan is to build a strong operation in Perth and expand coverage in QLD before branching out to the other major cities.